Periodontitis, yüksek prevelans gösteren, dental plak mikroorganizmaları ve konak cevabı arasındaki ilişkinin sebep olduğu dişleri destekleyen dokuların yıkımı ve diş kayıpları ile sonuçlanan kronik inflamatuvar bir hastalıktır. Günümüze kadar periodontal hastalıkları tedavi edebilmek ya da periodonsiyumun sağlığını korumak amacıyla birçok geleneksel bitkisel tedavi üzerinde çalışmalar yapılmıştır ve özellikle de güçlü antioksidan özelliklerinden dolayı fenolik bileşikler içeren gıdalar üzerinde yoğunlaşılmıştır. Polifenoller çok reaktiftirler ve meyve, sebze ve tam tahıllı ürünlerde bol bulunur. Bu derlemenin amacı periodontal hastalıkların tedavisi için araştırılan bazı bitkisel ekstratların gözden geçirilmesini sağlamaktır. Periodontitis is a chronic inflammatory disease with high prevalence that occurs due to the interaction between dental plaque microorganisms and host defenses and results in destruction tissue of supporting teeth and tooth loss. Until today there have been many studies about traditional herbal treatments to treat periodontal diseases or to keep periodontium healthy, and these studies focused especially on food that contains fenolic compounds. Polyphenols are reactive metabolites and are found in abundant in fruits, vegetables and wholegrain products. The aim of this review is to evaluate the effects of certain plant extracts on the treatment of periodontal diseases. 1. Offenbacher S, Periodontal diseases: pathogenesis. Annals of periodontology, 1996; 1(1), 821-78. 2. Leppilahti J M, Ahonen M M, Hernández M, Munjal S, Netuschil L, Uitto V J, Mäntylä P, Oral rinse MMP‐8 point‐of‐care immuno test identifies patients with strong periodontal inflammatory burden. Oral diseases, 2011; 17(1), 115-22. 3. Birkedal-Hansen H, Role of matrix metalloproteinases in human periodontal diseases. Journal of periodontology, 1993; 64(5s), 474-84. 4. Haffajee A D, Socransky S S, Microbial etiological agents of destructive periodontal diseases. Periodontology 2000, 1994; 5(1), 78-11.5. Salvi G E, Lang N P, Host response modulation in the management of periodontal diseases. Journal of clinical periodontology, 2005; 32, 108-29. 6. Page R C, Kornman K S, The pathogenesis of human periodontitis: an introduction. Periodontology 2000, 1997; 14(1), 9-11. 7. Madianos P N, Bobetsis Y A, Kinane D F, Generation of inflammatory stimuli: how bacteria set up inflammatory responses in the gingiva. Journal of Clinical Periodontology, 2005; 32, 57-71. 8. Gustafsson A, Åsman B, Increased release of free oxygen radicals from peripheral neutrophils in adult periodontitis after Feγ‐receptor stimulation. Journal of clinical periodontology, 1996; 23(1), 38-44. 9. Figueredo C M S, Gustafsson A, Asman B, Bergström K, Increased release of elastase from in vitro activated peripheral neutrophils in patients with adult periodontitis. Journal of clinical periodontology, 1999; 26(4), 206-11. 10. Chapple I L, Matthews J B, The role of reactive oxygen and antioxidant species in periodontal tissue destruction. Periodontology 2000, 2007; 43(1), 160-232. 11. Sies H, Oxidative stress: oxidants and antioxidants. Experimental Physiology: Translation and Integration, 1997; 82(2), 291-95. 12. Panjamurthy K, Manoharan S, Ramachandran C R, Lipid peroxidation and antioxidant status in patients with periodontitis. Cell Mol Biol Lett, 2005; 10(2), 255-64. 13. Tsai C C, Chen H S, Chen S L, Ho Y P, Ho K Y, Wu Y M, Hung C C, Lipid peroxidation: a possible role in the induction and progression of chronic periodontitis. Journal of periodontal research, 2005; 40(5), 378-84. 14. Ames B N, Shigenaga M K, Hagen T M, Oxidants, antioxidants, and the degenerative diseases of aging. Proceedings of the National Academy of Sciences, 1993; 90(17), 7915-22. 15. Lamster I B, Novak M J, Host mediators in gingival crevicular fluid: implications for the pathogenesis of periodontal disease. Critical Reviews in Oral Biology & Medicine, 1992; 3(1): 31-60. 16. Löe H, Theilade E, Jensen S B, Experimental gingivitis in man. Journal of periodontology, 1965; 36(3): 177-87. 17. Baltacıoğlu E, Kehribar M A, Yuva P, Alver A, Atagün Ö S, Karabulut E, Akalın F A, Total oxidant status and bone resorption biomarkers in serum and gingival crevicular fluid of patients with periodontitis. Journal of periodontology, 2014; 85(2): 317-26. 18. Elavarasu S, Sekar S, Murugan T, Host modulation by therapeutic agents. Journal of pharmacy & bioallied sciences, 2012; 4(Suppl 2): 256. 20. Steinberg D, Friedman M, Sustained release drug delivery devices for treatment of dental diseases. Drug delivery devices: Fundamentals and applications. New York: Marcel Dekker, 1998; 491-515. 21. Robinson M M, Zhang X, The world medicines situation 2011, traditional medicines: Global situation, issues and challenges. Geneva: World Health Organization, 2011; 1-4. 22. Tambekar D H, Dahikar S B, Lahare M D, Antibacterial potentials of some herbal preparations available in India. Res J Med Med Sci, 2009; 4: 224-7. 23. Ramesh A, Varghese S S, Doraiswamy J N, Malaiappan S, Herbs as an antioxidant arsenal for periodontal diseases. Journal of intercultural ethnopharmacology, 2016; 5(1): 92. 24. Steinmetz K A, Potter J D, Vegetables, fruit, and cancer prevention: a review. Journal of the american dietetic association, 1996; 96(10): 1027-39. 25. Hasler C M, Functional foods: benefits, concerns and challenges—a position paper from the American Council on Science and Health. The Journal of nutrition, 2002; 132(12): 3772-81. 26. Dillard C J, German J B, Phytochemicals: nutraceuticals and human health. Journal of the Science of Food and Agriculture, 2000; 80(12): 1744-56. 27. Biesalski H K , Nutraceuticals: the link between nutrition and medicine. In Nutraceuticals in health and disease prevention, 2001; pp. 17-42. CRC Press. 28. Scalbert A, Johnson I T, Saltmarsh M, Polyphenols: antioxidants and beyond–. The American journal of clinical nutrition, 2005; 81(1): 215-17. 29. Boudet A M, Evolution and current status of research in phenolic compounds. Phytochemistry, 2007; 68(22-24): 2722-35. 30. Shahidi F, Naczk M, Griffiths W, Food phenolics: Sources, chemistry, effects, applications. Trends in Food Science and Technology, 1996; 7(7): 243. 31. Yang C S, Landau J M, Effects of tea consumption on nutrition and health. The Journal of nutrition, 2000; 130(10): 2409-12. 32. Rice-evans C A, Miller N J, Bolwell P G, Bramley, P M, Pridham J B, The relative antioxidant activities of plant-derived polyphenolic flavonoids. Free radical research, 1995; 22(4): 375-83. 33. Maruyama, T., et al., Supplementation of green tea catechins in dentifrices suppresses gingival oxidative stress and periodontal inflammation. archives of oral biology, 2011. 56(1): p. 48-53. 34. Maruyama T, Tomofuji T, Endo Y, Irie K, Azuma T, Ekuni D, et al., Supplementation of green tea catechins in dentifrices suppresses gingival oxidative stress and periodontal inflammation. archives of oral biology, 2011; 56(1): 48-53. 35. Makimura M, Hirasawa M, Kobayashi K, Indo J, Sakanaka S, Taguchi T, Otake S, Inhibitory effect of tea catechins on collagenase activity. Journal of periodontology, 1993; 64(7): 630-36. 36. Sakanaka S, Aizawa M, Kim M, Yamamoto T, Inhibitory effects of green tea polyphenols on growth and cellular adherence of an oral bacterium, Porphyromonas gingivalis. Bioscience, biotechnology, and biochemistry, 1996; 60(5): 745-49. 37. Terral J F, Tabard E, Bouby L, Ivorra S, Pastor T, Figueiral I, et al., Evolution and history of grapevine (Vitis vinifera) under domestication: new morphometric perspectives to understand seed domestication syndrome and reveal origins of ancient European cultivars. Annals of botany, 2009; 105(3): 443-55. 38. Bladé C, Arola L, Salvadó M J, Hypolipidemic effects of proanthocyanidins and their underlying biochemical and molecular mechanisms. Molecular nutrition & food research, 2010; 54(1): 37-59. 39. Fraga C G, Oteiza P I, Dietary flavonoids: role of (−)-epicatechin and related procyanidins in cell signaling. Free Radical Biology and Medicine, 2011; 51(4); 813-23. 40. Scalbert A, Manach C, Morand C, Rémésy C, Jiménez L, Dietary polyphenols and the prevention of diseases. Critical reviews in food science and nutrition, 2005; 45(4): 287-306. 41. Vitseva O, Varghese S, Chakrabarti S, Folts J D, Freedman J E, Grape seed and skin extracts inhibit platelet function and release of reactive oxygen intermediates. Journal of cardiovascular pharmacology, 2005; 46(4): 445-51. 42. Shi J, Yu J, Pohorly J E, Kakuda Y, Polyphenolics in grape seeds—biochemistry and functionality. Journal of medicinal food, 2003; 6(4): 291-99. 43. Furiga A, Lonvaud-Funel A, Badet C, In vitro study of antioxidant capacity and antibacterial activity on oral anaerobes of a grape seed extract. Food Chemistry, 2009; 113(4): 1037-40. 44. Perumalla A V S, Hettiarachchy N S, Green tea and grape seed extracts—Potential applications in food safety and quality. Food Research International, 2011; 44(4): 827-39. 45. Wu C D, Grape products and oral health. The Journal of nutrition, 2009; 139(9): 1818-23. 46. Morgan A G, McAdam W A, Glycyrrhiza glabra.(Monograph). Altern Med Rev, 2005; 10: 230-7. 47. Rayne S, Mazza G, Biological activities of extracts from sumac (Rhus spp. ): a review. Plant foods for human nutrition, 2007; 62(4): 165-75. 48. Bursal E, Köksal E, Evaluation of reducing power and radical scavenging activities of water and ethanol extracts from sumac (Rhus coriaria L.). Food Research International, 2011; 44(7): 2217-21. 49. Candan F, Sökmen A, Effects of Rhus coriaria L.(Anacardiaceae) on lipid peroxidation and free radical scavenging activity. Phytotherapy Research: An International Journal Devoted to Pharmacological and Toxicological Evaluation of Natural Product Derivatives, 2004; 18(1): 84-86. 50. Sağlam M, Köseoğlu S, Hatipoğlu M, Esen H H, Köksal E, Effect of sumac extract on serum oxidative status, RANKL/OPG system and alveolar bone loss in experimental periodontitis in rats. Journal of Applied Oral Science, 2015; 23(1): 33-41. 51. Ünver A, Özcan M M, Fatty acid composition of seed and pericarp of sumach (Rhus coriaria L.) grown wild in different regions of Turkey. Journal of food, agriculture & environment, 2010; 8(1): 31-33. 52. Shabbir A, Rhus coriaria linn, a plant of medicinal, nutritional and industrial importance: a review. J Anim Plant Sci, 2012; 22(2): 505-12. 53. Homer K A, Manji F, Beighton D, Inhibition of peptidase and glycosidase activities of Porphyromonas gingivalis, Bacteroides intermedius and Treponema denticola by plant extracts. Journal of clinical periodontology, 1992; 19(5): 305-10. 54. Srivastava R, Puri V, Srimal R C, Dhawan B N, Effect of curcumin on platelet aggregation and vascular prostacyclin synthesis. Arzneimittel-Forschung, 1986; 36(4): 715-17. 55. Mehta K, Pantazis P, McQueen T, Aggarwal B B, Antiproliferative effect of curcumin (diferuloylmethane) against human breast tumor cell lines. Anti-cancer drugs, 1997; 8(5): 470-81. 56. Dcodhar S D, Sethi R, Srimal R C, Preliminary study on antirheumatic activity of curcumin (diferuloyl methane). Indian journal of medical research, 2013; 138(1). 57. Reddy A C P, Lokesh B R, Effect of dietary turmeric (Curcuma longa) on iron-induced lipid peroxidation in the rat liver. Food and chemical toxicology, 1994; 32(3): 279-83. 58. Chattopadhyay I, Biswas K, Bandyopadhyay U, Banerjee R K, Turmeric and curcumin: Biological actions and medicinal applications. Current Science-Bangalore-, 2004; 87: 44-53. 59. Behal R, Mali A M, Gilda S S, Paradkar A R, Evaluation of local drug-delivery system containing 2% whole turmeric gel used as an adjunct to scaling and root planing in chronic periodontitis: A clinical and microbiological study. Journal of Indian society of Periodontology, 2011; 15(1): 35. 60. Ramirez-Boscá A, Soler A, Gutierrez M A C, Alvarez J L, Almagro E Q, Antioxidant curcuma extracts decrease the blood lipid peroxide levels of human subjects. Age, 1995; 18(4): 167-69. 61. Muglikar S, Patil K C, Shivswami S, Hegde R, Efficacy of curcumin in the treatment of chronic gingivitis: a pilot study. Oral health & preventive dentistry, 2013; 11(1). 62. Gottumukkala S N, Koneru S, Mannem S, Mandalapu N, Effectiveness of sub gingival irrigation of an indigenous 1% curcumin solution on clinical and microbiological parameters in chronic periodontitis patients: A pilot randomized clinical trial. Contemporary clinical dentistry, 2013; 4(2): 186. 63. Gu Y, Lee H M, Napolitano N, Clemens M, Zhang Y, Sorsa T, et. al., M, 4-methoxycarbonyl curcumin: a unique inhibitor of both inflammatory mediators and periodontal inflammation. Mediators of inflammation, 2013. 64. Okahashi N, Inaba H, Nakagawa I, Yamamura T, Kuboniwa M, Nakayama K, et. al., A, Porphyromonas gingivalis induces receptor activator of NF-κB ligand expression in osteoblasts through the activator protein 1 pathway. Infection and immunity, 2004; 72(3): 1706-14. 65. Chen D, Nie M, Fan M W,Bian Z, Anti-inflammatory activity of curcumin in macrophages stimulated by lipopolysaccharides from Porphyromonas gingivalis. Pharmacology, 2008; 82(4): 264-69. 66. Mao T K, Van de Water J, Keen C L, Schmitz H H, Gershwin M E, Effect of cocoa flavanols and their related oligomers on the secretion of interleukin-5 in peripheral blood mononuclear cells. Journal of Medicinal Food, 2002; 5(1): 17-22. 68. Fernández-Murga L, Tarín J J, García-Perez M A, Cano A, The impact of chocolate on cardiovascular health. Maturitas, 2011; 69(4): 312-21. 69. Sokolov A N, Pavlova M A, Klosterhalfen S, Enck P, Chocolate and the brain: neurobiological impact of cocoa flavanols on cognition and behavior. Neuroscience & Biobehavioral Reviews, 2013; 37(10): 2445-53. 70. Pérez-Cano F J, Massot-Cladera M, Franch À, Castellote C, Castell M, The effects of cocoa on the immune system. Frontiers in pharmacology, 2013; 4: 71. 71. Heinrich U, Neukam K, Tronnier H, Sies H, Stahl W, Long-term ingestion of high flavanol cocoa provides photoprotection against UV-induced erythema and improves skin condition in women. The Journal of nutrition, 2006; 136(6): 1565-69. 72. Tomofuji T, Ekuni D, Irie K, Azuma T, Endo Y, Tamaki N, et. al., Preventive effects of a cocoa‐enriched diet on gingival oxidative stress in experimental periodontitis. Journal of periodontology, 2009; 80(11): 1799-1808. 73. Stepanović S, Antić N, Dakić I, Švabić-Vlahović M, In vitro antimicrobial activity of propolis and synergism between propolis and antimicrobial drugs. Microbiological Research, 2003; 158(4): 353-57. 74. Lu L C, Chen Y W, Chou C C, Antibacterial activity of propolis against Staphylococcus aureus. International Journal of Food Microbiology, 2005; 102(2): 213-20. 75. Uzel A, Önçağ Ö, Çoğulu D, Gençay Ö, Chemical compositions and antimicrobial activities of four different Anatolian propolis samples. Microbiological research, 2005; 160(2): 189-95. 76. Silva J C, Rodrigues S, Feás X, Estevinho L M, Antimicrobial activity, phenolic profile and role in the inflammation of propolis. Food and Chemical Toxicology, 2012; 50(5): 1790-95. 77. Chirumbolo S, Propolis as anti-inflammatory and anti-allergic compounds: which role for flavonoids?. International immunopharmacology, 2011; 11(9): 1386. 78. Sforcin J M, Propolis and the immune system: a review. Journal of ethnopharmacology, 2007; 113(1): 1-14. 79. Toker H, Ozan F, Ozer H, Ozdemir H, Eren K, Yeler H, A morphometric and histopathologic evaluation of the effects of propolis on alveolar bone loss in experimental periodontitis in rats. Journal of periodontology, 2008; 79(6): 1089-94. 80. Ang E S, Pavlos N J, Chai L Y, Qi M, Cheng T S, Steer J H, et. al., Caffeic acid phenethyl ester, an active component of honeybee propolis attenuates osteoclastogenesis and bone resorption via the suppression of RANKL‐induced NF‐κB and NFAT activity. Journal of cellular physiology, 2009; 221(3), 642-49. 82. Park E H, Kahng J H, Suppressive effects of propolis in rat adjuvant arthritis. Archives of Pharmacal Research, 1999; 22(6): 554. 83. Murata K, Yatsunami K, Fukuda E, Onodera S, Mizukami O, Hoshino G, Kamei T, Antihyperglycemic effects of propolis mixed with mulberry leaf extract on patients with type 2 diabetes. Alternative therapies in health and medicine, 2004; 10(3): 78-79. 84. Heo M Y, Sohn S J, Au W W, Anti-genotoxicity of galangin as a cancer chemopreventive agent candidate. Mutation Research/Reviews in Mutation Research, 2001; 488(2): 135-50. 85. Santos F A, Bastos E M A, Uzeda M, Carvalho M A R, Farias L M, et. al., Antibacterial activity of Brazilian propolis and fractions against oral anaerobic bacteria. Journal of ethnopharmacology, 2002; 80(1): 1-7. 86. Gjertsen A W, Stothz K A, Neiva K G, Pileggi R, Effect of propolis on proliferation and apoptosis of periodontal ligament fibroblasts. Oral Surgery, Oral Medicine, Oral Pathology, Oral Radiology, and Endodontology, 2011; 112(6): 843-48. 87. Aral C A, Kesim S, Greenwell H, Kara M, Çetin A, Yakan B, Alveolar bone protective and hypoglycemic effects of systemic propolis treatment in experimental periodontitis and diabetes mellitus. Journal of medicinal food, 2015; 18(2): 195-201. 88. El‐Sharkawy H M, Anees M M, Van Dyke T E, Propolis improves periodontal status and glycemic control in patients with type 2 diabetes mellitus and chronic periodontitis: a randomized clinical trial. Journal of periodontology, 2016; 87(12): 1418-26. 89. Alarcón-Flores M I, Romero-González R, Vidal J L M, Frenich A G, Determination of phenolic compounds in artichoke, garlic and spinach by Ultra-High-Performance Liquid Chromatography coupled to Tandem Mass Spectrometry. Food analytical methods, 2014; 7(10): 2095-06. 90. Sobenin I A, Pryanishnikov V V, Kunnova L M, Rabinovich Y A, Martirosyan D M, Orekhov A N, The effects of time-released garlic powder tablets on multifunctional cardiovascular risk in patients with coronary artery disease. Lipids in health and disease, 2010; 9(1): 119. 91. Erol A, ALPSOY H C, Sarımsak (Allium sativum) ve geleneksel tedavide kullanımı. Türkiye Parazitoloji Dergisi, 2007; 31: 145-49. 92. Hosseini A, Hosseinzadeh, H, A review on the effects of Allium sativum (Garlic) in metabolic syndrome. Journal of endocrinological investigation, 2015; 38(11): 1147-57. 93. Takezaki T, Gao C M, Ding J H, Liu T K, Li M S, Tajima K, Comparative study of lifestyles of residents in high and low risk areas for gastric cancer in Jiangsu Province, China; with special reference to allium vegetables. Journal of epidemiology, 1999; 9(5): 297-305. 94. Padiya R, Khatua T N, Bagul P K, Kuncha M, Banerjee S K, Garlic improves insulin sensitivity and associated metabolic syndromes in fructose fed rats. Nutrition & metabolism, 2011; 8(1): 53. 95. İşgör Y, İşcan M, Öztürk H, Durak I, Effects of water soluble garlic extract on human leukemia HL60 cell lines. Turk J. Biochem, 2008; 33(3): 78-84. 96. Shetty S, Thomas B, Shetty V, Bhandary R, Shetty R M, An in-vitro evaluation of the efficacy of garlic extract as an antimicrobial agent on periodontal pathogens: A microbiological study. Ayu, 2013; 34(4): 445. ISNAD Durmuş, Duygu , Coşkun Türer, Çiğdem . "Fitokimyasallardan Polifenollerin Periodontal Duruma Etkisi". 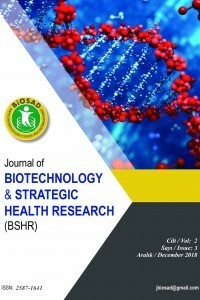 JOURNAL OF BIOTECHNOLOGY AND STRATEGIC HEALTH RESEARCH 2 / 3 (December 2018): 138-145.